Summary: Construction workers must deal with some of the most dangerous working conditions faced by workers in any industry. Construction workers must deal with some of the most dangerous working conditions faced by workers in any industry. In spite of job safety programs, safety inspection requirements and regulations, construction accidents are a common occurrence in the United States. The challenge of workplace safety at construction sites is definitely a tough one, because of the variety of dangers faced by the workers and the nature of the job itself. The most common hazards faced by construction workers include being struck by falling or moving machinery, falls from scaffolds and other heights, health hazards posed by exposure to asbestos and other chemicals, electrocution, injuries caused by unsafe or defective equipment, and repetitive stress injuries. Who Is Liable For a Construction Site Injury? Depending on the size of the construction project, there may be a number of individuals involved, including the owner of the site, design and engineering professionals, construction site managers, contractors, and suppliers. To assess the liability for construction site injuries, the main consideration would be the extent of an individual or party’s control over the site on which the work is being conducted and the degree of their control over the work. Listed below are some parties that may be held liable for a construction site injury. The landowner’s liability in a construction site accident would depend on the amount of control over the site he or she has given to the independent contractor. The owner of the land on which the construction activity is going on may be held liable for any injury caused by a potentially dangerous condition on the site that the owner was or should have been aware of. It is the duty of the contractor and subcontractor to provide a safe working environment to the workers on the construction site. They must ensure that the work is being carried out in a safe manner. Hiring competent workers and ensuring compliance with safety regulations is also a part of their duty. The duty delegated to architects and engineers depends on their contract with the site owner. Common duties include compliance with specifications, site inspection to ensure compliance, and conforming to certain standards in providing their services during the design or construction phase. If an injury has occurred because of their inability to meet standards or perform their duties well, they may be held liable for it. Manufacturers of construction equipment may be held liable for any injuries that result from defective equipment or machinery. 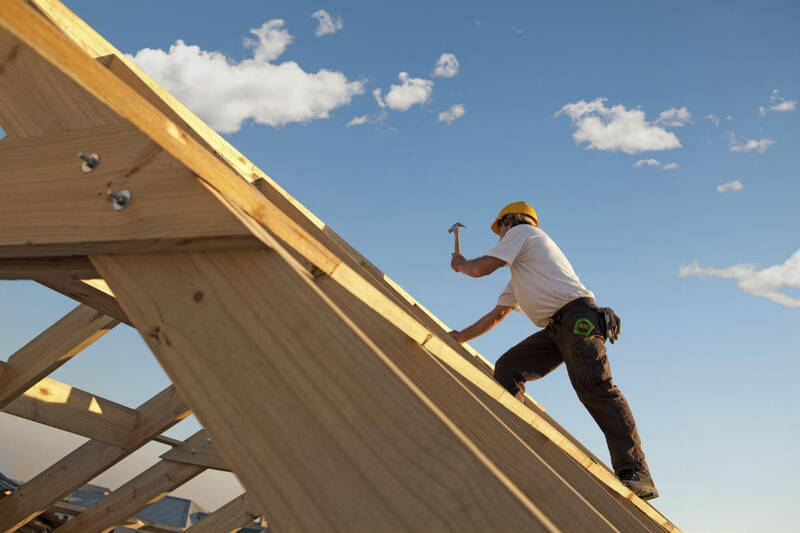 For most large scale construction projects, the property owner and the contractor are required to carry adequate insurance coverage such as property liability insurance, workers' compensation insurance, and employer’s liability insurance. Under the workers' compensation system, workers who become injured at the construction site may be entitled to receive medical benefits and wage loss benefits from the employer. If the injury was caused by the negligence of a third-party, the injured worker may be able to file a personal injury or product liability lawsuit to get compensation. It is important to consult with a competent Missouri workers' compensation lawyer, who can navigate you through the claims process and help you receive the benefits that you deserve. Call The Law Office of James M. Hoffmann at (314) 361-4300 for a free consultation.